After the actual Delco-Light Plant was sold and installed then came the accessories. Naturally when introducing electricity to a home for the first time the possibility for add-ons to the system was virtually endless. 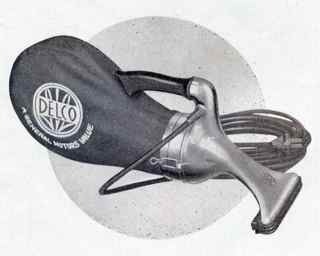 Delco-Light Plants were large investments that were sold to men but marketed to women. 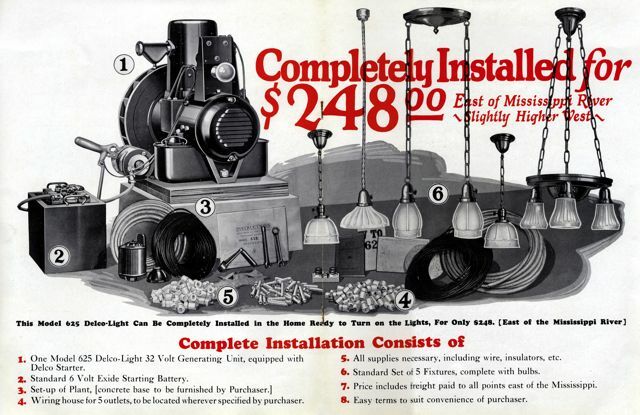 Many times Delco-Light salesman were not only introducing electricity for the first time but also offering many families their first experience with consumer credit. Easy financing terms made upgrades more attractive and affordable. Delco-Light Plants were heavily marketed towards women. 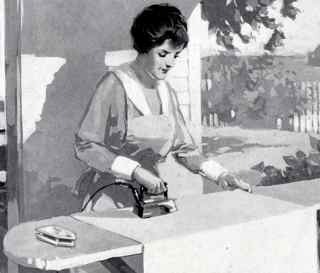 The convenience of electricity could lessen the housewives burden in many ways. Irons are a common find for collectors. 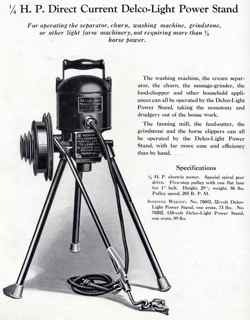 Power stands like many 32 volt DC motors were worth more as scrap (copper) after households were converted to 110 volt AC current. They did not usually survive unless they were attached to an appliance. The Hand Cleaner came with a 20 foot cord and operated at 8,500 rpm. Upright cleaners were the most practical purchase therefore few households owned both.